How to get here: Biggin is a village off the A515 which connects Ashbourne in the south and Buxton in the north. There is a regular (if not very frequent) bus service through the village. 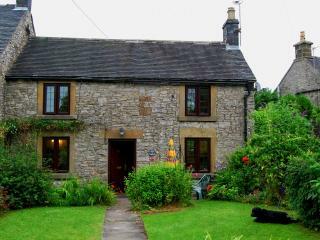 Nearest Town: Biggin is approximately 10-11 miles from Buxton, Ashbourne, Matlock and Leek. It is about 5 miles from Bakewell. Biggin is in the White Peak (South) area of the National Peak Park. 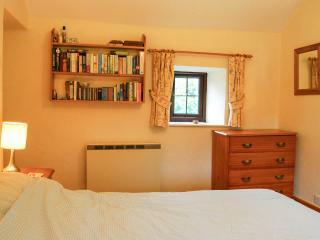 It is surrounded by rolling hills, dry stone walls, and a huge network of public footpaths. 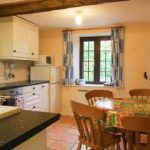 Our cottage is a few hundred yards from the Tissington Trail – a disused railway line which is now a wonderful walking/cycling trail going as far as Ashbourne in the south and Hurdlow in the north. It also connects with the High Peak Trail, so there is lots of potential for off-road cycling. Biggin has a popular pub and an excellent restaurant at Biggin Hall. There is a little village grocery shop in Hartington, 2 miles away. Many of the big supermarkets can be found in the towns within 10-12 miles of Biggin (Buxton, Ashbourne, Matlock, Leek). Local attractions include; Matlock Bath – illuminations, Dove Dale stepping stones, Alton Towers Theme Park, National Trust properties: Keddleston Hall, Eyam Hall (plague village), Lyme House Chatsworth House, Haddon Hall (not National Trust). Our cottage is very old with stone walls. 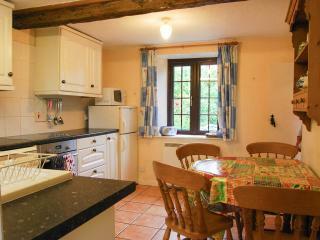 It has a kitchen/diner, a sitting room and a bathroom downstairs. There are 2 bedrooms upstairs. 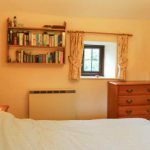 The main bedroom has a double bed and the other room has twin beds. Duvets, pillows, blankets all available. You will need to bring your own bed linen and towels. There is a satellite TV downstairs, with access to free cable channels. It has a built in DVD player. There are many DVDs at the cottage to suit most tastes. We also have wi-fi. The cupboard under the stairs stores a large collection of games for all ages, ranging from chess to Tumbling Monkeys! There is a travel cot and highchair attachment to go on a dining chair. There is no off-road parking, but we have never had a problem with parking on the road outside the cottage. 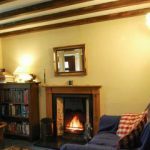 The cottage has a Night Storage heater in every room except the sitting room, where there is an open fire, with coal and logs available. There are 3 portable electric heaters too. 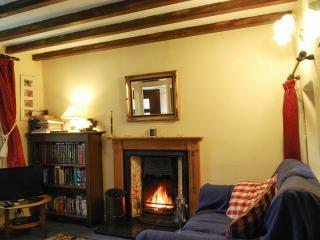 Discount: £45 a night for Clergy and Church staff. Energy Provision: £2 per basket of logs, after the first one. Booking arrangements: We are happy to accept bookings from and to any day of the week, except the Summer holidays – full weeks only, Saturday to Saturday. Pets: Dogs are welcome – but downstairs only.